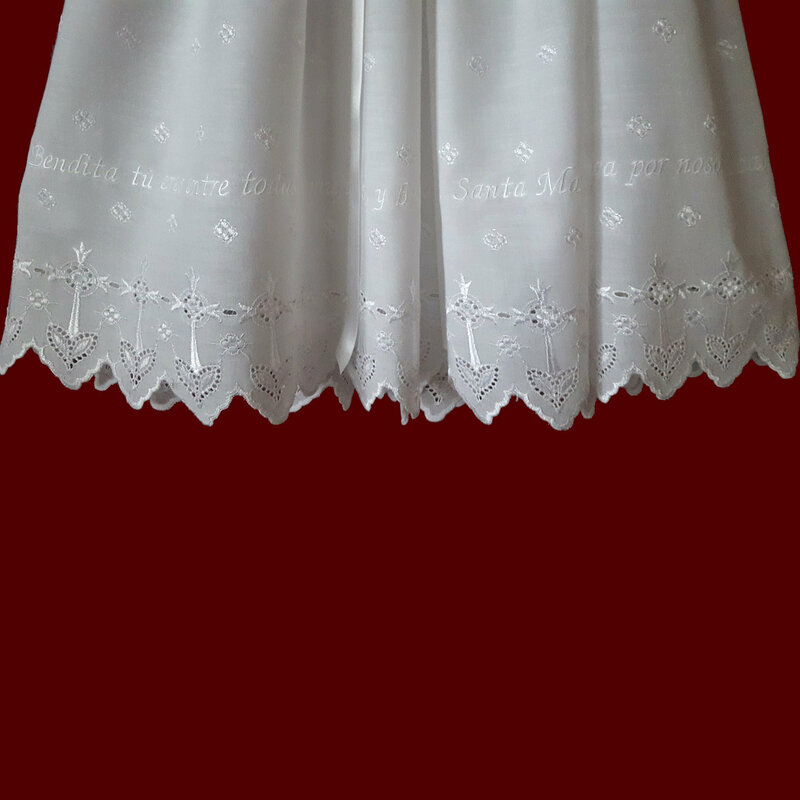 Embroidered crosses with heart design eyelet with embroidered Hail Mary prayer in Spanish (English, Latin or Gaelic also available) around the hemline highlight this beautiful christening gown with a satin ribbon band on the front yoke with detachable white, pink & blue bow with streamers and is available with short or long sleeves. Matching Magic Hanky bonnet is available from same eyelet fabric (not shown), gift boxed with poem. 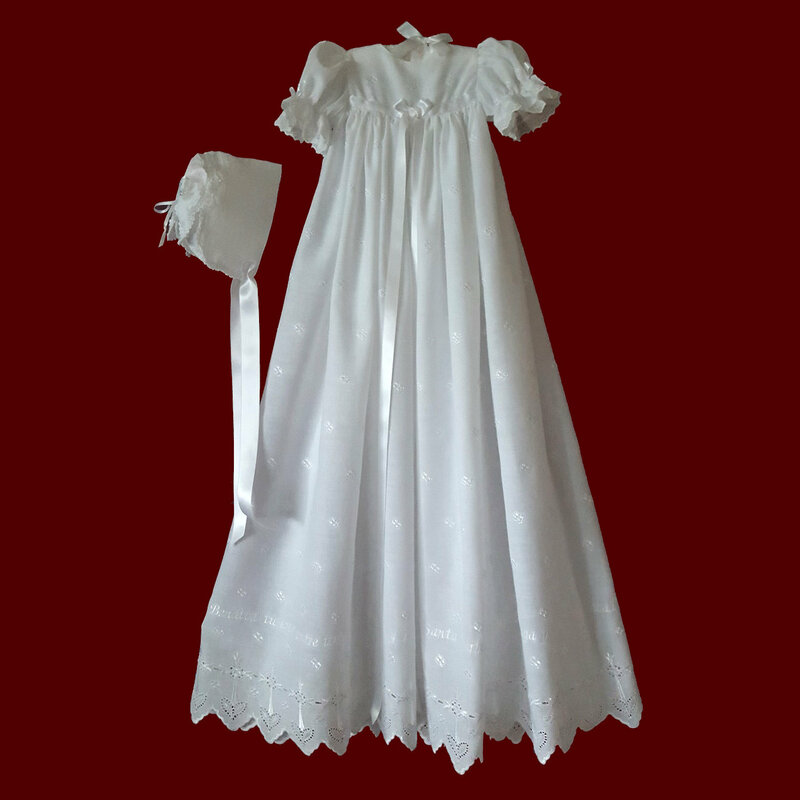 The gown has a double row of heart buttons down the back yoke to adjust the size and is open in the skirt portion to allow for easier changings and the ability to spread the skirt out fully for beautiful portraits. 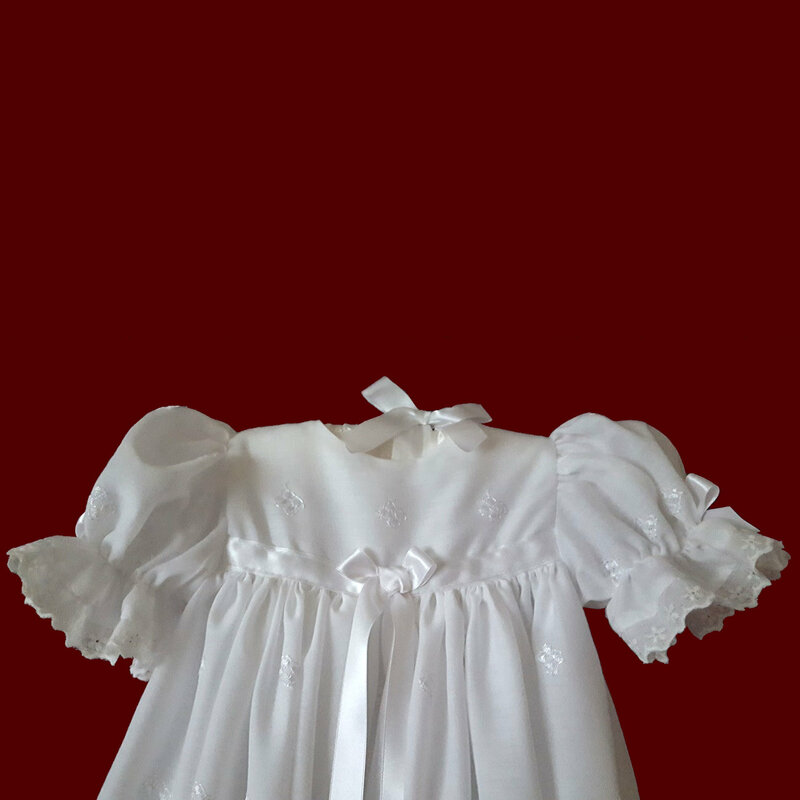 Includes a matching cotton batiste slip trimmed with lace which can be personalized with baby's name and christening date. Available in your choice of finished gown length. Irish accents are available on all items on this website. 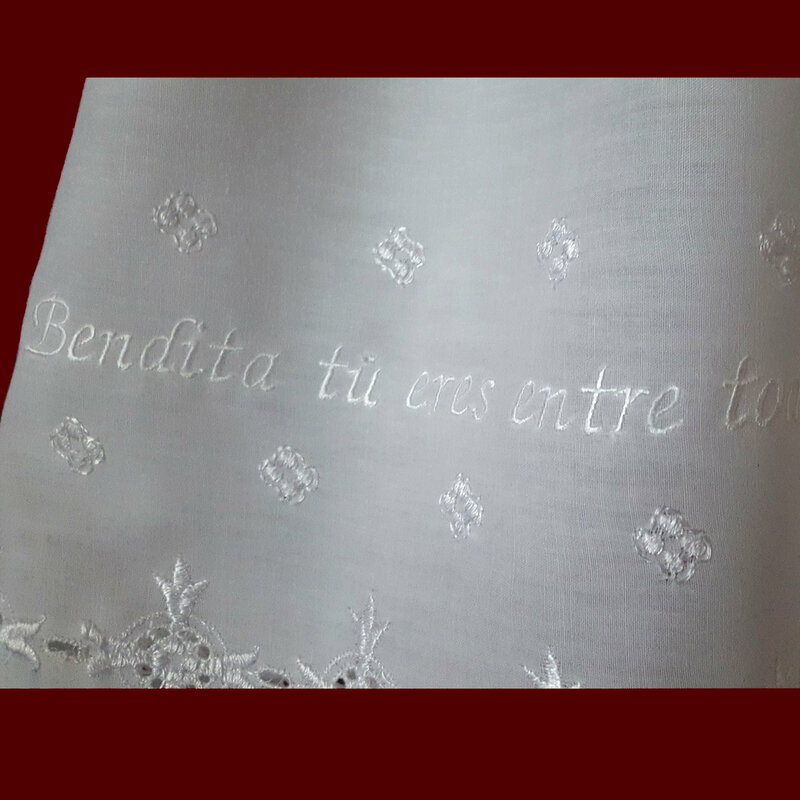 Embroidered prayer available in your choice of font (fancy print shown). Other prayers also available.